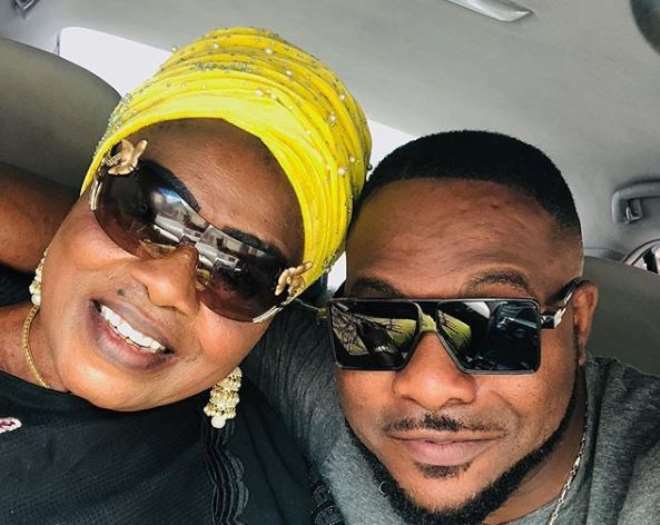 There is nothing that gives a man joy than working and earning cool cash which is enough to make the family comfortable and Nollywood actor, Bolanle Ninalowo, is one living his dream. The actor since breaking into the Nigerian movie industry some years back seems to be the toast of many producers as they continue to run after him with scripts due to his dexterity. Well, he may have had his own share of bad press but that has never affected his career as he continues to break even and his success stories is not complete without mentioning his loving mother who has been there for him. He shared that there is never a time he prepares to go out that his mother will not pray for him and that is what has kept him going. “Everytime i touch down, i stop by to see her. She holds my hand to pray, blesses me with words of life and tells me to keep going with God! She smiles and says : oko mi, mo fi Olorun so eh and it feels like wearing an armor! Maami Adunfe,” he wrote.